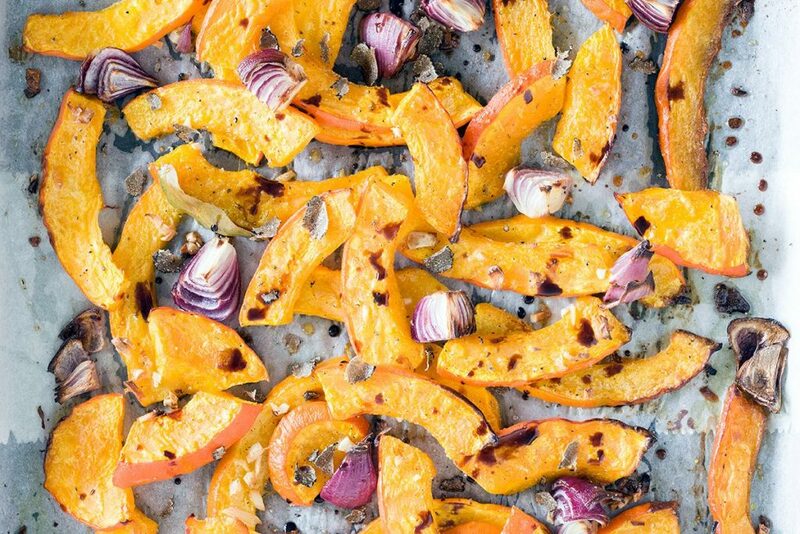 This oven-roasted pumpkin with red onion and truffle is a delicious side dish, e.g. with tagliatelle of other pasta. Serve with balsamic vinegar.